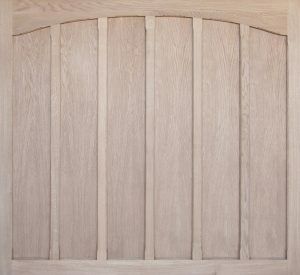 The Woodrite Monmouth range of panel-built timber garage doors are made with oak faced exterior grade ply and oak mouldings. 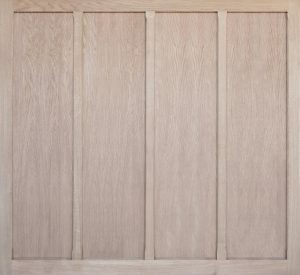 The Woodrite Monmouth range of oak garage doors is available with Masta Gear, which is a ‘do it all’ type retractable gear with greater flexibility on height sizes. Or Super Chassis gear with integrated lifting gear at the heart of the door. 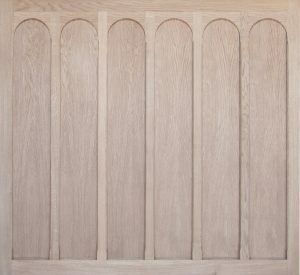 The Super-Chassis is available with straight arm retractable gear as standard and canopy gear as a no cost option. 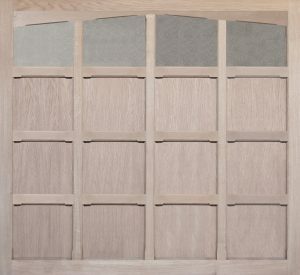 Woodrite’s door panel design is unique in that it “cloaks” the chassis of the garage door. Only timber is visible edge-to-edge from the front of the door, which eliminates the need for a visible chassis found on other doors by other manufacturers. 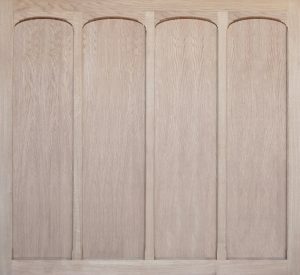 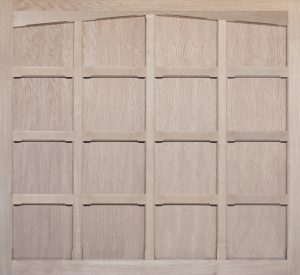 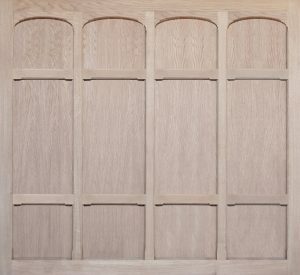 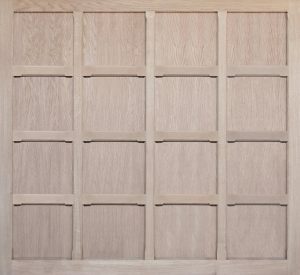 Woodrite Oak doors are available in 12 fully finished stain options as standard. 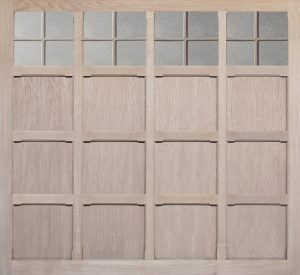 If you can’t find the colour that you’re looking for the Monmouth range is also available in any RAL colour or matched to paint colour.